Live auctions are great ways to raise money for your cause, but they’re limited by the number of people who can attend them in person. The PWI Auction App improves the experience for people attending the auction, but also allows you to involve more supporters online. 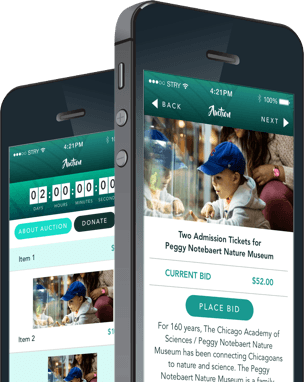 It’s extremely user-friendly, and you’ll expand the impact of your fundraiser like never before. Rather than manually recording bids at an auction, PWI Auction allows your participants to be involved in the auction process using their smart phones. They don’t even need to be present to join-in! Once they download the app, they can: view all of the items up for bid, including the detail you wish to provide; bid on the items they are interested in; and monitor the status of the auction in real-time. Your supporters can participate in your auctions by downloading PWI Auction from the App store or Google Play.